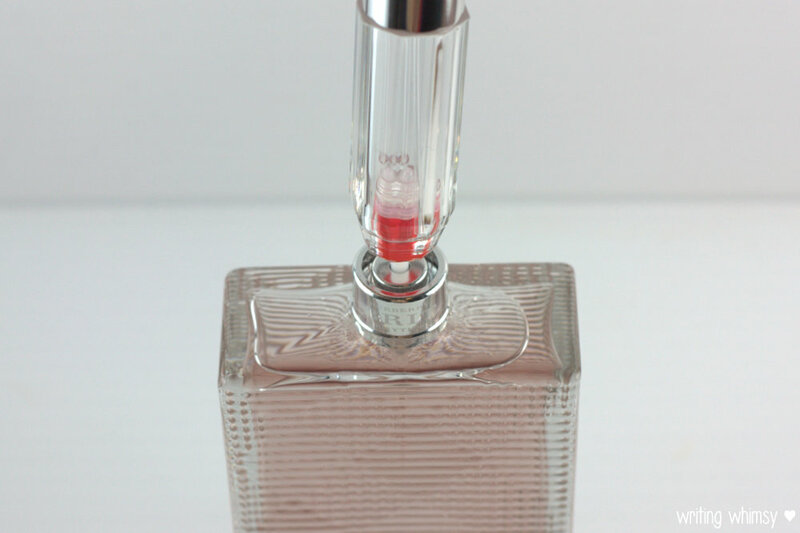 A month ago, I shared two different kinds of Travalos (small refillable perfume decanters) that are perfect for Beauty on the Go when traveling, they were the Travalo classic and rollerball format. Today I’m back with another gorgeous edition to the family, Travalo Crystal HD*. 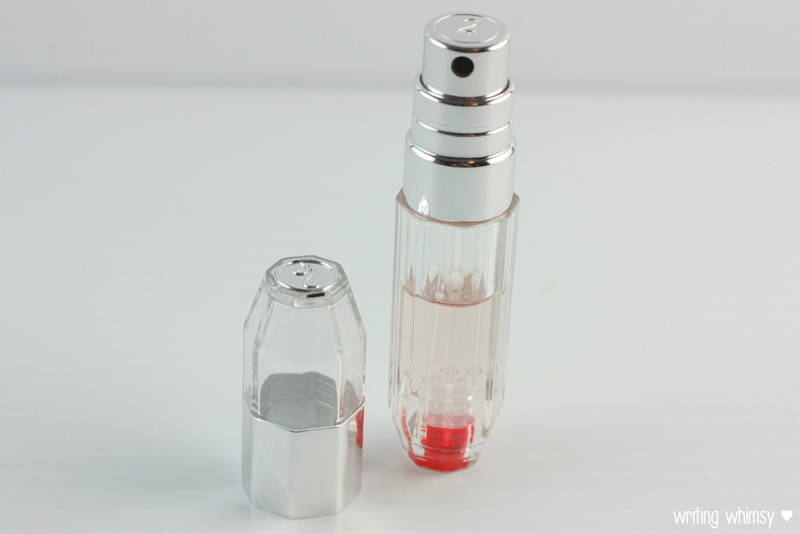 The Travalo Crystal HD works the exact same way as all Travalos, which is that you pop the nozzle off your fragrance bottle (in this case it’s the amazing Burberry Brit Rhythm for Her*) and push the opening at the bottom of the Travalo onto it. Pump up and down to fill up the Travalo, and when you remove it, the opening closes and prevents leaks. The difference with the Travalo Crystal HD is entirely aesthetic, and it is pretty. Although made of plastic and purse-safe, the Travalo Crystal HD looks like it is made of crystal and has a kind of classic/antique look to it with the silver and gold accents. 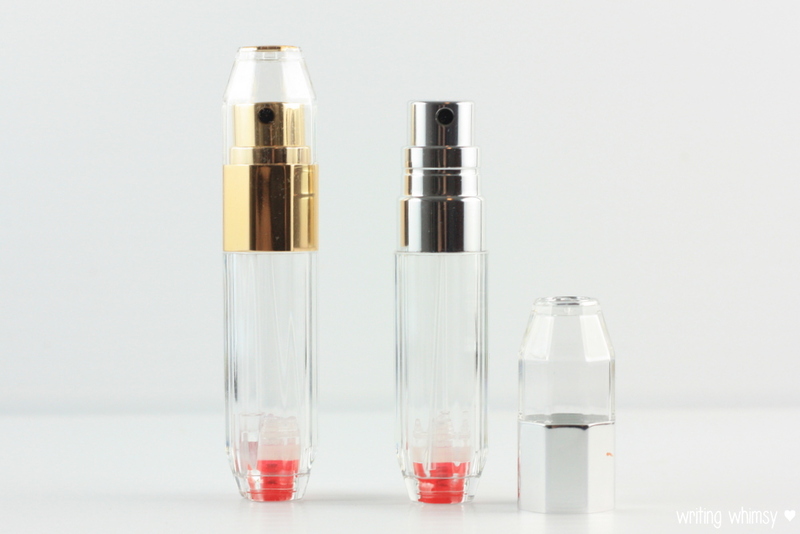 I also find that the nozzle does more of a fine-mist that’s “larger”–if that makes sense– compared to a regular perfume bottle. 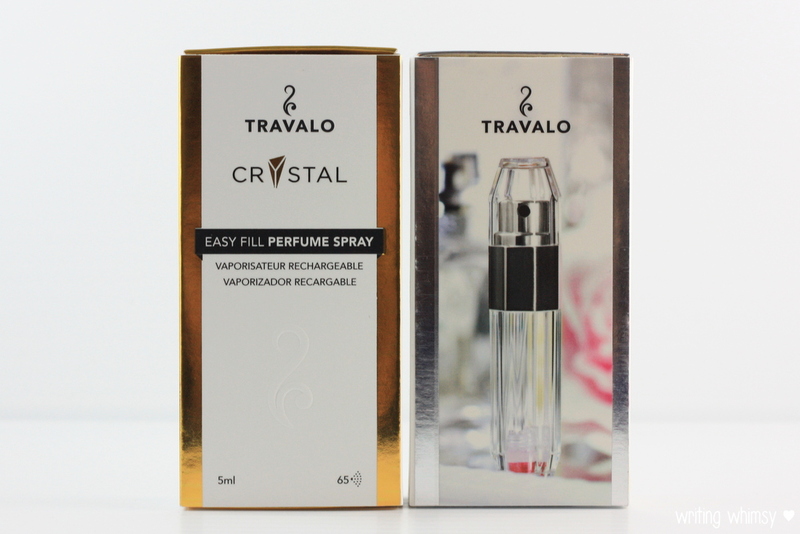 In addition to the Travalo Crystal HD, the brand has partnered with the Breast Cancer Research Foundation to design a Travalo with $4.00 from each purchase going to benefit BCRF available at retail stores and online starting October 2014. I love having lots of Travalos in different colours and models so I don’t get my fragrances confused and can take them with me when I travel and keep them in my purse in a compact and secure way. I think the Travalo Crystal HD is especially pretty because I like how you can see the liquid inside, and even though it’s plastic I find it looks kinda fancy. Have you ever used a Travalo before?